Like any good carpenter, tools are needed to do the job. Life is much like being a carpenter however we are not always equipped with the tools to build a solid foundation or create a smooth road ahead. Over the years I have enjoyed many tools. Spiritual tools, if you will. I use all as veins of spiritual contact, messages and connection. Among the many are astrology and runes. Astrology has long been in my life. I am a very spiritual and believing type person who considers astrology a tool offered by God/the Universe to explore our traits, future and what we designed for ourselves before coming to life on earth. It is fascinating really, astrology and not something I am deeply schooled in however I am knowledgeable. For many years I consulted with a well known astrologer Nan Hall Linke in Houston Texas. Each year she prepared my chart for the year ahead and I set about living my life not particularly by that however with the input of what may come. It was somewhat like having a blueprint to build a house. Something to go with and actually strive to live a better life that is flexible. I am intuitive. That more or less comes to most of us however some of us fear the use or the messages. Some of mine have not been so wonderful yet it was the Universe preparing me more or less, like astrology, for what may come. Most times however it serves me in awareness of people, places and my actions. It is a connection with the soul on a deeper higher realm. That combined with astrology is a great way to enhance a spiritual life. Another tool I have more recently applied are runes. A friend introduced these to me. She made hers out of sterling silver and are all gleaming and wonderful. They have an energy of their own which would come from the creation by her. All beautiful. Mine are what came with the book I ordered from Amazon. The Healing Runes by Ralph H Blum and Susan Loughan. These are not something made up of recent times. Healing Runes have been in some form or other used for centuries and serve one as a way to connect with their lives. These offer a depth to our inner senses bringing those to the forefront of our minds. Runes offer insight to issues at hand that may need to be worked through. Grief for example which once accepted takes one to a place of serenity. A connection with the Divine. Not really on a regular basis are these something I use however when the path seems a bit uneven, I pull the pouch from the shelf and for days following each morning, pull a rune from the pouch. My runes are tucked in a lovely hand made knit pouch a friend gave me several years ago which until I learned of the runes, had no use. It is such a spiritual little pouch and looks like the robes and scarves a priest may wear for a special service in the Episcopal church. It is a deep red with a purple draw string tie. The runes are quite comfortable tucked into this special handcrafted pouch. The method for using these, as with any spiritual tool, I feel is very individual with no right or wrong way of use. How God intended life as I see it. I ask a question. Maybe something that is troubling me of how to deal. Maybe just a general what may be type question. Then shake up the bag a bit to stir the runes and reach in for the rune that addresses that question. I have yet to have a rune with the message associated that did not apply to the question asked. The little book created by Blum and Loughan offer a guide with a reading for each rune. Very profound messages with each rune and the one selected as I indicated apply to the question asked. 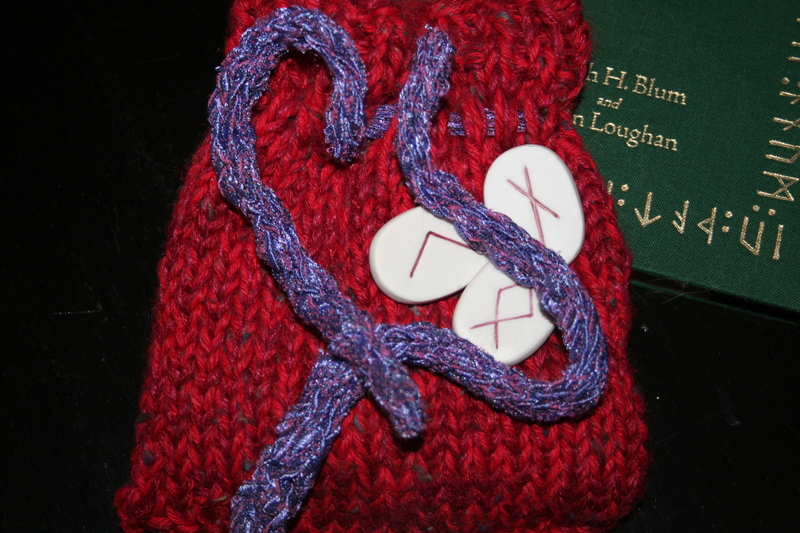 I then leave the drawn rune on the pouch to remind me each time I pass it of the message. It is a type of walking meditation for me. Continued prayer. My mind travels back to the message for the day and then some how carries over to the next and each day as a new message is added the mind builds the soul. Or so it has for me. Like astrology this ancient tool is fascinating to me. I also feel that God created these tools to help us along the way to better understand, use and apply our spiritual lives. These tools help the heart be very quiet so it can hear the music in the garden. The music to sooth, to support, remove the fog, to bring richness to life. Just as God intended it. And so it is life tools are there for us on all fronts. Be it in messages from the soul. Messages through astrology, messages through runes or all the tools combined as I use. These are tools available to us just as a carpenter has to create a beautiful chest or home. All we need do is become comfortable with the use and the path is less arduous. 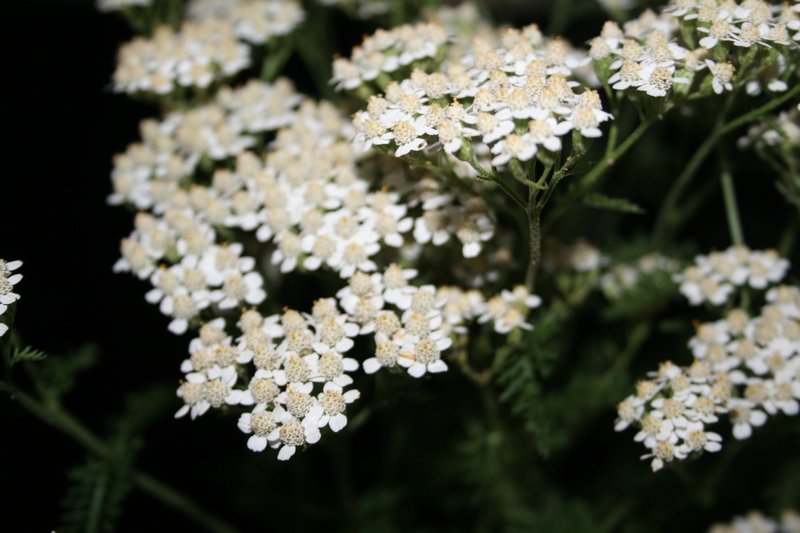 The flowers bloom along the way. The birds sing and we feel joy in the connection. All we need to do is accept the peace. This entry was posted in Uncategorized and tagged astrology, awakening, awareness, intuitive, Meditation, messages, rituals, Runes, Spirituality. Bookmark the permalink.